Make sure that vital equipment is inspected and that your quality program is not jeopardized when it is accidentally put back into service before QA checks! 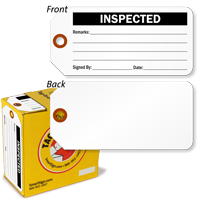 • Tags are hard to miss and often a better way to mark equipment needing inspection than a label. 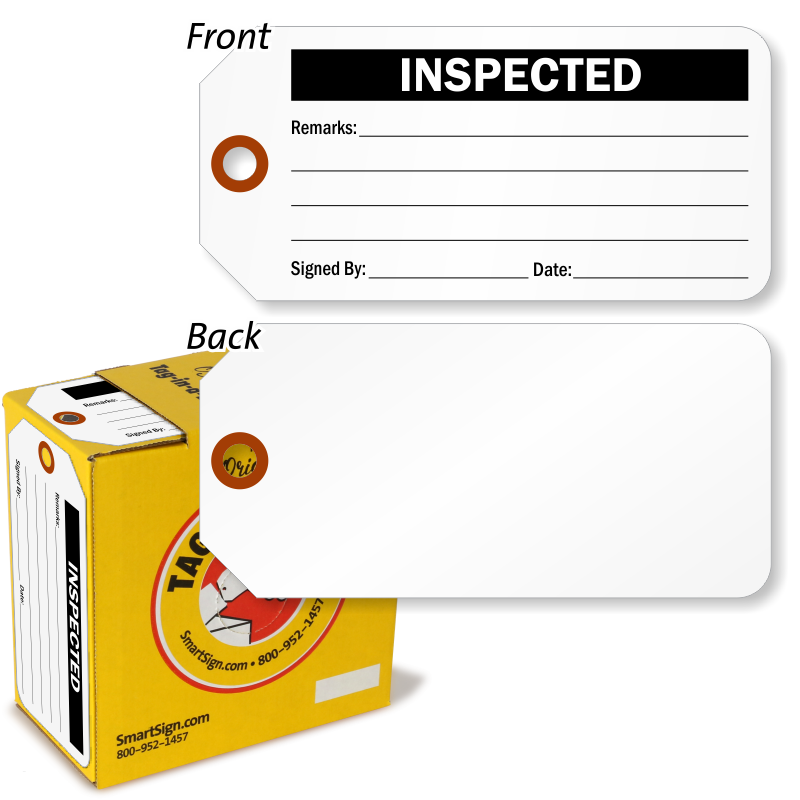 • Tag has space for you write remarks regarding the inspection, as well as the inspection date and the initials of the inspector. Back of tag is blank.